Wales completes digital TV switchover | What Hi-Fi? With the Wenvoe transmitter serving south-east Wales, including Cardiff and Newport, making the switch to digital TV transmission from today, the analogue TV switch-off in the country is now complete. Viewers using Freeview, BT Vision and Top Up TV will have to retune their sets. Anyone who has not switched to digital and is still using an analogue TV will lose their service. Elsewhere in the UK, another 4.5 million homes will be getting Freeview HD channels for the first time from today, with Cardiff, Birmingham and Leeds coming on stream to join London, Liverpool and Manchester, which already have the high-definition service. S4C's Freeview HD channel, to be called Clirlun, will go live in Wales from the end of April. 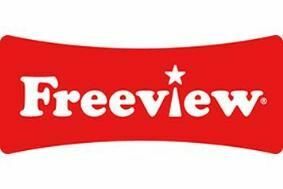 Yesterday we reported on the official launch of Freeview HD, which should be available in 50 per cent of UK homes in time for the World Cup, starting on June 11th. If you live in Wales and experience difficulties with digital switchover, the Digital UK Helpline number is 08456 50 50 50 (08458 48 48 48 for Welsh speakers).